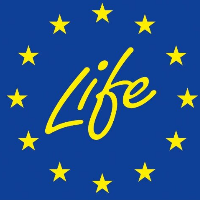 The mid-term evaluation of the LIFE Programme is now open. The European Commission is looking for citizens, organisations and public authorities alike to contribute to this consultation, which runs until 9 August 2016. The Mid-term review is an opportunity to carry out an external and independent evaluation to assess the LIFE programme, its types of interventions, its implementation and its results so far in order to facilitate evidence-based decision-making. To participate, simply complete the short online questionnaire. Received contributions will be published online and can be submitted in any official EU language.